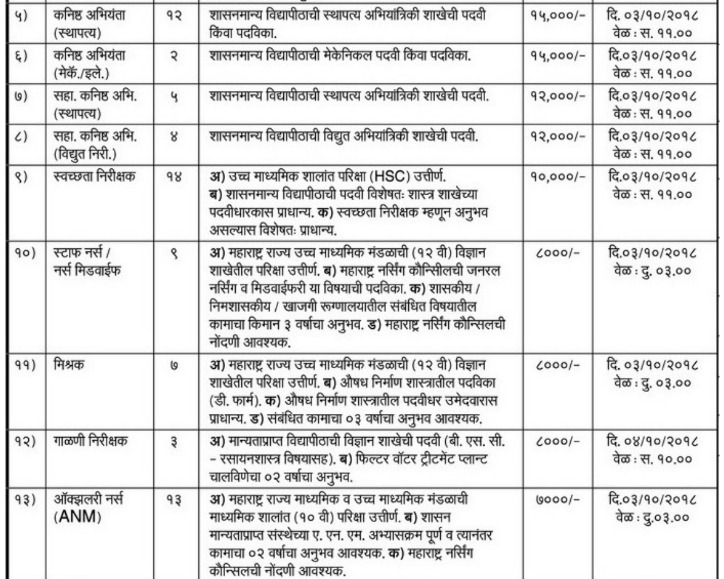 The Malegaon Municipal Corporation is the governing body of the city of Malegaon in the Indian state of Maharashtra invites applications in prescribed format from eligible candidates for the posts of Veterinary Officer, Medical health officer (MBBS), Networking Administrator, Computer programmer, Junior Engineer, Assistant Junior Engineer, Health checker/Sanitary inspector, Staff Nurse/Nurse Mid Wife, Mishrak, Filing inspector, ANM, Clerical typewriting, Fireman, Vehicle Driver, JCB Driver, Electric Driver, Electric Wireman, Mechanic, Surgery Assistant, Room worker, Room worker (Female), dresser, Watchman, Wallman, Laborer & Masonry. 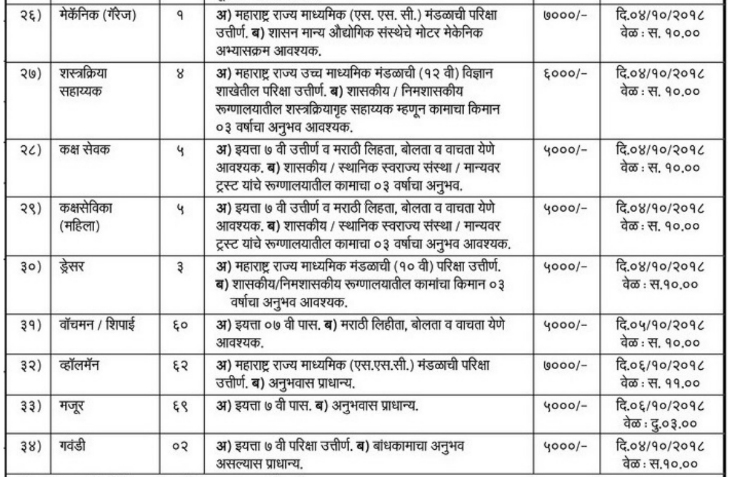 For more info regarding Malegaon Municipal Corporation Recruitment Advertisement/ Notification such as eligibility, salary, walk-in dates, how to apply and other please read full page carefully. 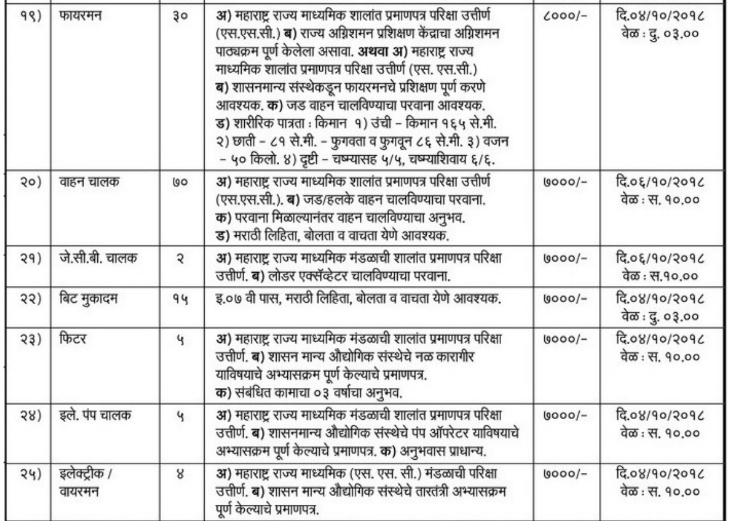 Job Location – Malegaon (Maharashtra). 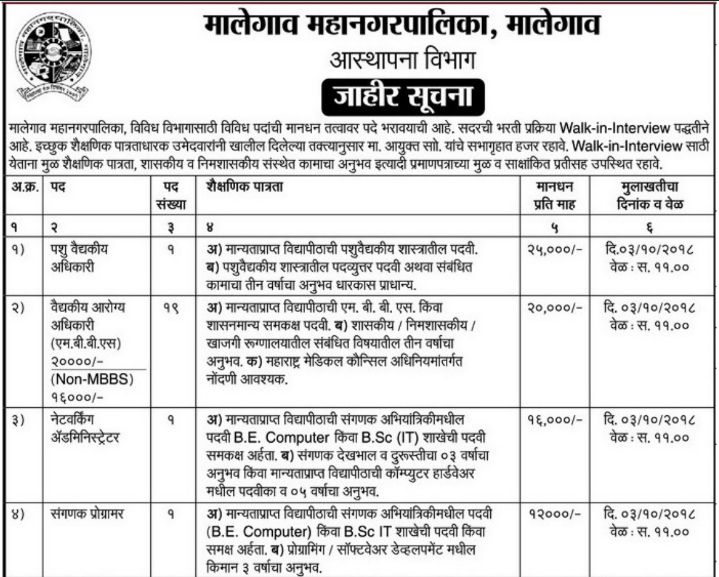 How to Apply ->> Attend walk-in interview on fix date.